Somewhere at a previous writing job, I mentioned the possibility of compiling a list of about two dozen celebrity-architect-designed luxury condominium buildings in New York, all between 20 and 40something units. It's a moment, with many similarities to when Mies was hired by Herbert Greenwald to develop then-unknown modernist glass boxes for Chicago's booming housing market. Like that moment, there is money, and therefore appetite, for experimentation and star branding. My invitation to you, dear reader, is to point me in the direction of something missing. FYI, there are a few that I know about it, but I cannot talk about it. Non disclosures, yo. The incomplete list after the jump. (all namings are my nicknames, which all my friends have been hearing me call these buildings since i saw the first renderings). 1. Meier3 at 168 Charles. I know it's cool to rip on Richard Meier. Particularly after that article about the ketchup he uses when grilling. But living next to 168 Charles when it was going up changed my mind about him. As long as I skip future ketchup articles. 4. Gluckman Wave at One Kenmare Place. Would be higher on the list, but the wave is just a hair generic, and not sun/site specific (or did the fact checker miss a rendering?). 5. Meier1 The North Tower at Perry Street. I like the smaller one better, so it's higher on the list. Its floorplate appears to be even more useless. Useless the way the Farnsworth House is useless. If you can deal, Meier can deal. Deal? 6. Meier2 The South Tower at Perry Street. More useful floorplate. If you're going to drop $5m for a pad, a little element of architect-induced uselessness (the century's new bling, yo) is very apropos. 7. Enrique Norten in Tribeca. The fact checker is working on this one. This slot may change. 8. Winka Wave at 497 Greenwich Street. Walked by this one every day during its construction. Panels of curved glass appeard to crack several times and had to be replaced during construction. 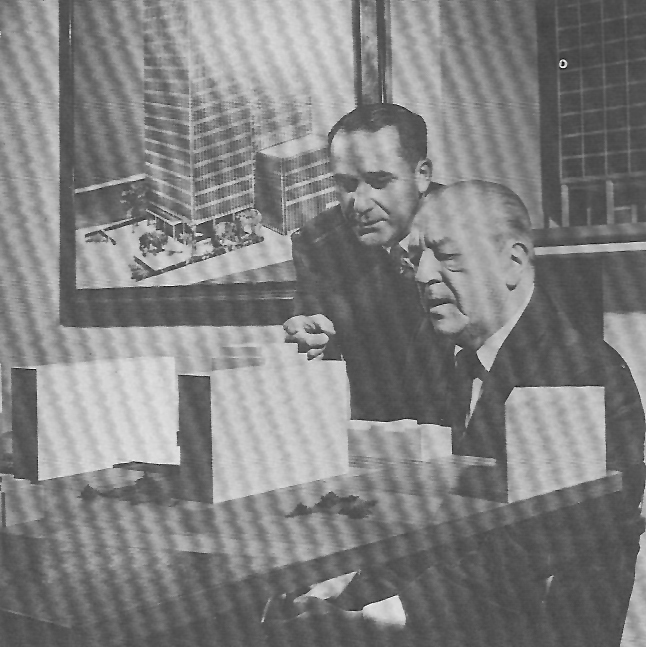 Mies had the same problems with his curtain wall, too. The curved glass is gorgeous. Then, they clipped on these annoying aluminum trim elements and covered it all up. Still, the architect experimented with the curtain wall, so I put it a little above the average mark. 9. (lines intentionally left blank). 14. Switcheroo nArchitects at 109 Norfolk. If this is real, I'll move it up on the list.